Acting for first parties we have helped to secure planning permission on appeal for a B+B business in Doolin, County Clare (ABP Ref: PL03.248405 and for a change of use from former shop to residence in Corofin, County Clare (Clare CC ref: 16/988). 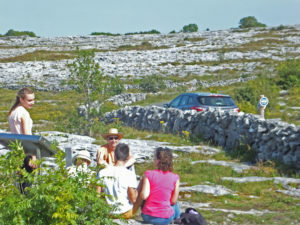 We have prepared a draft Burren National Park Management Plan for public consultation. The plan documents comprise An Executive Summary, Written Statement, Natura Impact Statement and an Appendices volume that includes Report of Consultation, car park options habitat assessment and drawings and outline specifications for a Mullaghmore Arrival Point.